AWS filter cartridges are suitable for applications that require a robust filter cartridge resistant to aggressive chemicals and high temperatures. AWS filter cartridges are constructed from 316L grade stainless steel and assembled without the use of resins or adhesives, all AWS filter cartridges are fully welded. 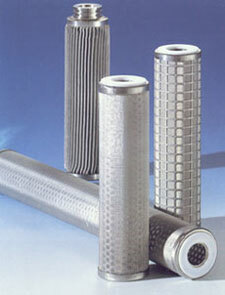 The filter media is TiG seam welded and the media, centre core and end fittings assembled using the same procedures. AWS cartridges have an operating range of -150?C to +300?C and, in the case of pleated cartridges, up to 25 bar differential pressure. 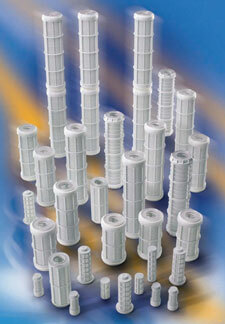 These cartridges are manufactured with the polyamide mesh permanently bonded onto the polypropylene body. They are particularly useful on cold water for removing rust and scale particles that might block or clog valves and nozzles. 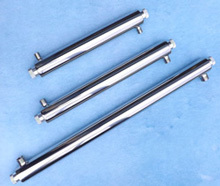 The cartridges are easily cleaned by removing from the filter housing and simply rinsing under running water.